Our bold vision is becoming a reality. With the completion of the first phase of our 10-year Master Plan in 2017, we now work, pray and transform lives in our new spaces. Gatherings of diocesan and community groups take place in the spacious, state-of-the-art facilities of the 12,500 square-foot Program Center – an amazing and flexible space that accommodates 300-400 over three rooms. Large group events have expanded options with the ability to utilize the two classroom for breakout sessions. The nearby historic Pavilion, which accommodates 180, has been completely renovated to the same specifications of the Program Center, with a permanently installed Audio Visual system and 20 foot projection screen. The entire Program Center and Pool, and surrounding facilities comprising the Youth Sector take on a vibrant and energetic life for the six weeks of DaySpring Summer Camp, as youth and counselors enjoy the coordinated spaces of indoor recreation, pool, sports courts, fire pits, sleeping cabins, ropes courses and waterfront. Phases Two and Three of our 10-year Master Plan will see premium adult lodging and a second large Meeting and Worship Center added to the campus. 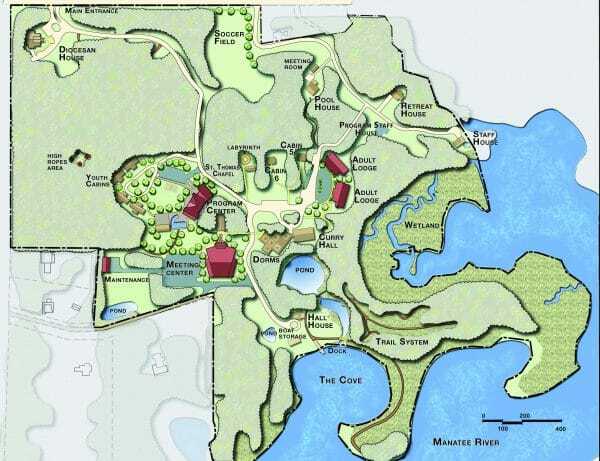 Our new Adult Lodges will be two-story structures, tucked back against the wooded backdrop. 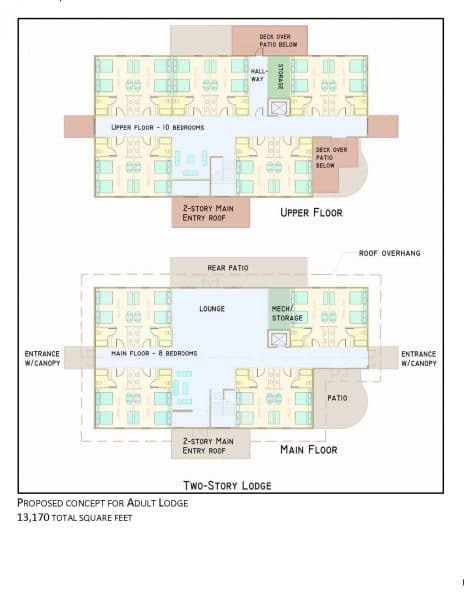 Each building will have 18 bedrooms, increasing the number of potential sleeping areas by nearly 60% while enhancing comfort within the space. These upgraded lodges will enable DaySpring to host expanded overnight offerings for adults and create a beautiful, comfortable environment to engage national leaders. Our learning community will be a beacon of health and hope within the Church and beyond. 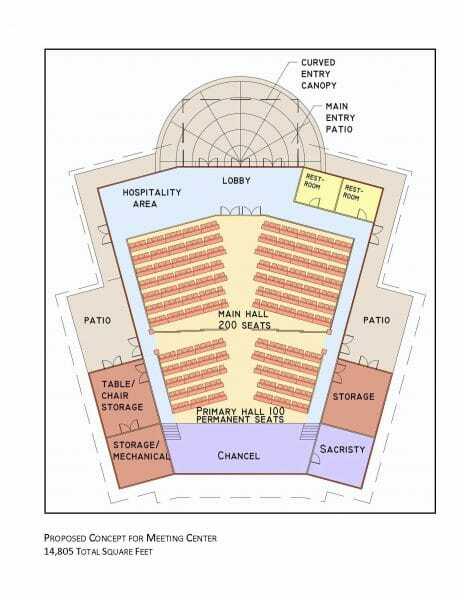 The meeting and Worship Center, a 15,000 square foot facility with a total table seating capacity of 300 people – will immediately be recognized as the jewel of our property. A large chancel area will overlook our wooded forest and the Manatee River, with south-facing windows to provide optimal light. The flexibility of this new space will optimize the use of the overall conference center and significantly increase our ability to host multiple large groups at one time.